As artificial light increases in volume and geographical coverage around the world, a variety of animals are suffering ill effects. 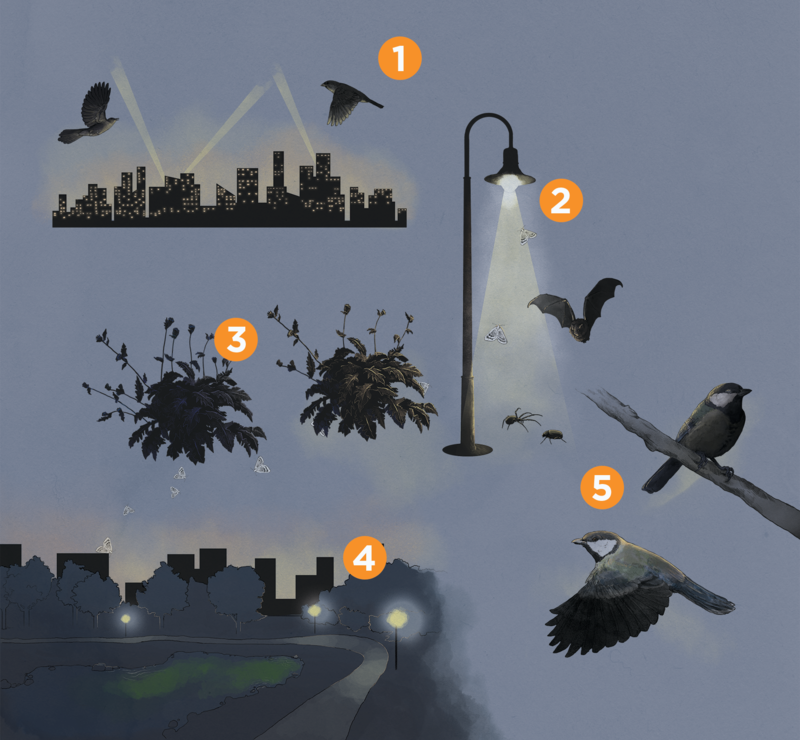 Some of the consequences of light pollution are immediate and obvious—for example, a moth that flies into a streetlamp may die on impact. 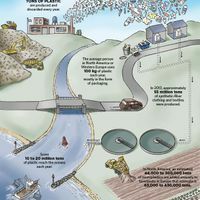 But there are also less visible, possibly more damaging effects, such as changes to predator-prey and plant-pollinator relationships that can reverberate through ecosystems. 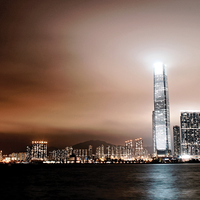 Illuminated skyscrapers and spotlights can lure migrating birds. Animals may become disoriented and end up in deadly collisions or perish from exhaustion. 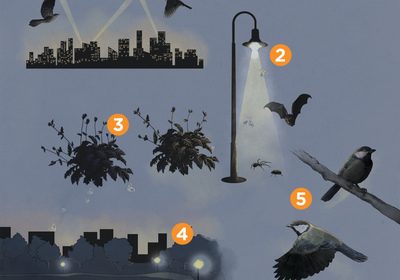 Streetlamps, floodlights, and other luminous objects attract a wide range of insects at night. Predators home in on light-loving swarms to take advantage of the congregated prey. Nighttime lighting drives away some nocturnal pollinators, reducing the ability of plants in lit areas to bear fruit. Artificial illumination at night can increase the proportion of microorganisms in freshwater sediments that are able to photosynthesize under low light levels. Artificially lit nights can perturb an animal’s circadian rhythms, altering the timing of activities, such as sleep, foraging, mating, and migration, that are tightly controlled by the body’s internal clocks.